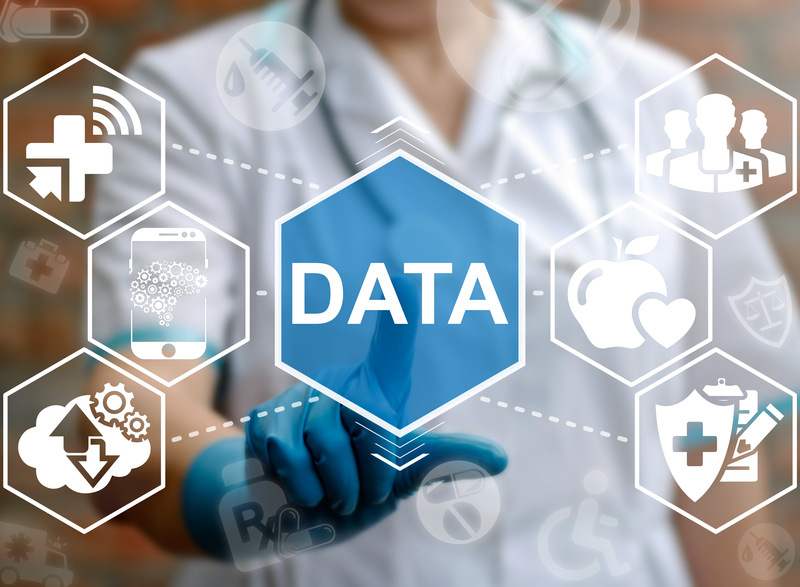 Prerna Das, a student in the OHSU Master of Science in Biomedical Informatics program, won second place in the OHSU Research Week Three-Minute Thesis (3MT) competition, held May 3, 2017. 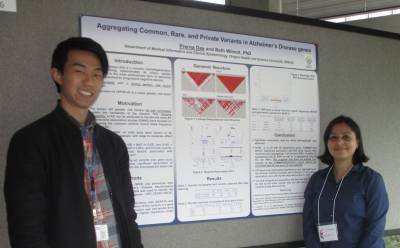 Das presented her thesis topic, In Pursuit of Genetic Risk Factors for Alzheimer’s. 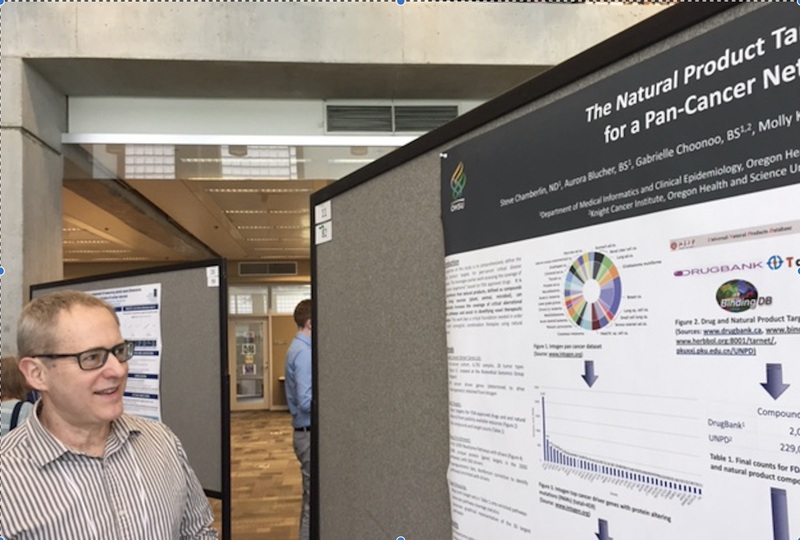 She also presented a poster on this topic at the May 1 poster session. 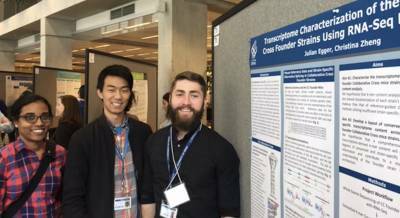 The three winners of the 3MT will represent OHSU at the statewide competition at the University of Oregon on May 12th. 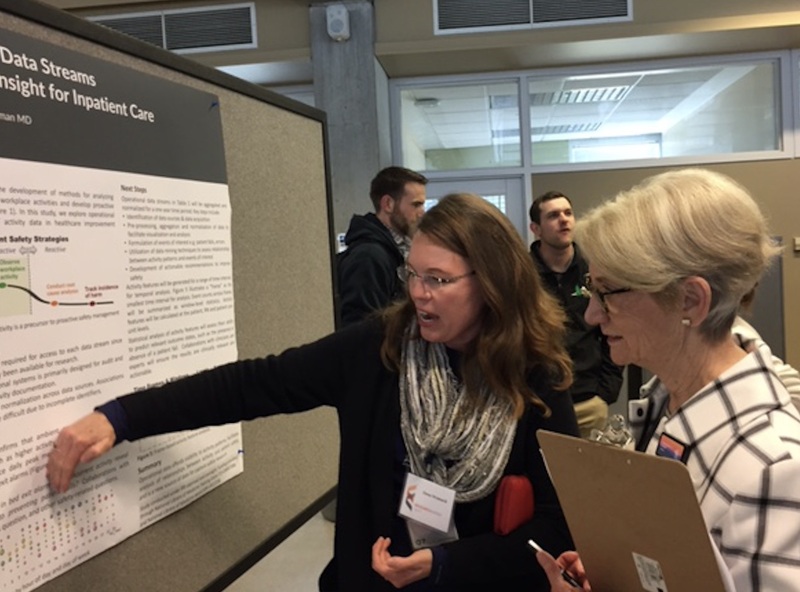 Overall at Research Week, there were five oral presentations from Department of Medical Informatics & Clinical Epidemiology (DMICE) faculty, staff, fellows and/or students as authors, while 15 posters at the Monday evening poster session featured DMICE-affiliated authors. Eric Leung, pre-doctoral fellow, viewed MBI student Prerna Das’s poster, Aggregating Common, Rare, and Private Variants in Alzheimer’s Disease Genes. Pre-doctoral fellow Dana Womack, M.S., discussed her poster, Exploration of Operational Data Streams as a Source of Actionable Insight, with Research Week judge Virginia Tilden, PhD., R.N., F.A.A.N., professor and senior associate dean for research affairs in the School of Nursing. Mark Klick, master of science student, presented a poster on Elucidating Gut Microbiota-Immune Interactions in an Animal Model of Ankylosing Spondylitis. Erin Hickman, M.D., post-doctoral fellow, and Eric Leung, pre-doctoral fellow, reviewed Julian Egger’s poster on Transcriptome Characterization of the Collaborative Cross Founder Strains Using RNA-Seq K-mer Content. 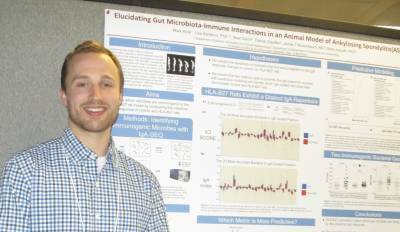 Julian is a pre-doctoral fellow. 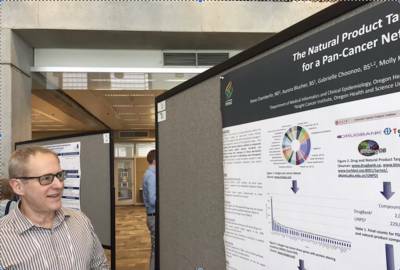 Steve Chamberlin, N.D., post-doctoral fellow, created a poster on Natural Product Targetome in Cancer: Definition and Application. Very nice and congrats to all.